Note: This is the second of a three-part CCJ series on natural gas’ role in trucking. The biggest issues with wide adoption of natural gas equipment, diesel prices aside, are the upfront cost of the equipment and range limitation. “You’re looking at an upcharge these days of a minimum of $40,000 to $50,000 between a natural gas powered truck and a comparably spec’d diesel powered truck,” says ACT Research Vice President Steve Tam. For natural gas to really take off in the market, Ryder’s Chief Technology and Procurement Scott Perry says the financial investment required for the technology has to be more in line with more traditional platforms, or the price of the fuel would have to be dramatically different. “And more options as far as the number of different engine configurations that could be used in broader in more applications,” he adds. Increased government incentives across many states, Frost & Sullivan Mobility Research Analyst Saideep Sudhakar says, will give rise to a fueling infrastructure but high upfront costs, low oil prices and the launch of hybrid electric powertrains present hurdles to fleet adoption rates. 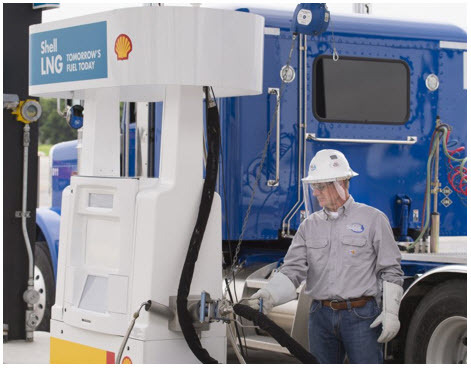 Expensive emissions equipment diesel engines need for compliance isn’t necessary on natural gas engines, and Tam suggests rolling those cost savings into additional credits for fleets willing to burn the cleaner fuel. “It doesn’t make a lot of sense to me that when you take all that equipment off, that you can’t apply that as a credit or reduce the costs [of the engine],” he says. Natural gas powered units also pose challenges on the secondary market, according to J.D. Power Commercial Vehicle Senior Analyst and Product Manager Chris Visser. He says sales volume of used natural gas tucks to-date is extremely low, making values wildly inconsistent.